Himgiri Zee University (HZU) has been striving to achieve academic excellence through research and strong Industry linkages with 85 research scholars pursuing their Ph.D. and having published more than 50 research papers. School of Architecture, Engineering & Sciences currently have 11 Ph.D. scholars who have published credible research papers in SCOPUS journals including IEEE. HZU has been in discussion with the Department of Computer Science at Chungbuk National University (CBNU), South Korea, for a long-term cooperation in the area of exchanging academic materials, publications, students and faculty. Founded in 1951, CNBU stands as a flagship university of South Korea. It has educational and research sisterhood relationship with 112 Universities in 43 countries with 929 international students from 36 countries. Awarded as “Well Deserving University” for 4 consecutive years by Ministry of Education, South Korea, CNBU has bagged several projects including prestigious Brain Korea 21 (BK21) and University of Creative Korea (CK). 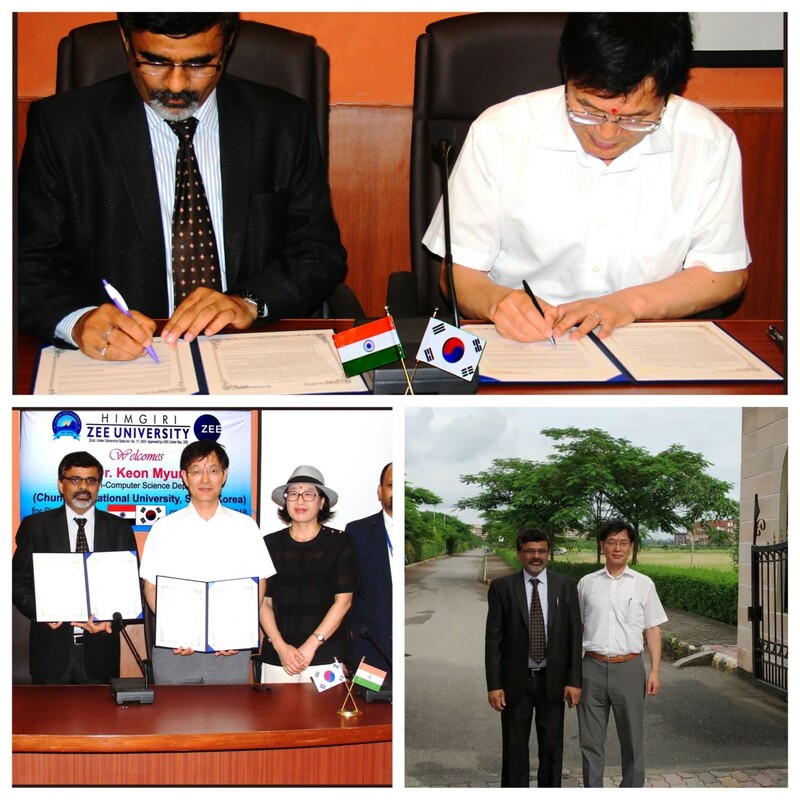 On 17th August 2018, delegates from Chungbuk National University (CBNU), led by Prof. Keon Myung Lee (Chairman, Department of Computer Science and Director, Artificial Intelligence Lab) visited the campus and signed MoU with HZU for exchange on academics, faculty, students and future joint research/projects. It was also agreed that Chungbuk National University will promote and accept deserving Ph.D. candidates who are currently pursuing Masters Programme at HZU against full scholarship scheme. 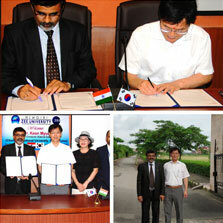 Prof. Keon Myung Lee and Prof. Rakesh Ranjan, Vice Chancellor, HZU signed the MoU on behalf of CBNU and HZU respectively. An interactive session was also arranged by Prof. Rakesh Arya, Head, Computer Science, HZU, for the Undergraduate/Post-graduate students and research scholars of the department. The students were quite excited to learn about recent technological developments in the area of Computer Science and Artificial Intelligence and were pleased to note that under the MoU, they will have the opportunity to pursue higher education with scholarship at CBNU, South Korea. Professor Keon Myung Lee informed that CBNU provided 45.50 billion Won of scholarships to the students with the scholarship recipient ratio at 57%. He said, this is a wonderful opportunity for Himgiri Zee University students to pursue higher education at CBNU.